Budapest’s largest indoor market sells everything from salami to souvenirs. The place to go for some authentic retail therapy. Budapestis love their markets. The city has five, all opening on the same day in 1897 and still going strong. 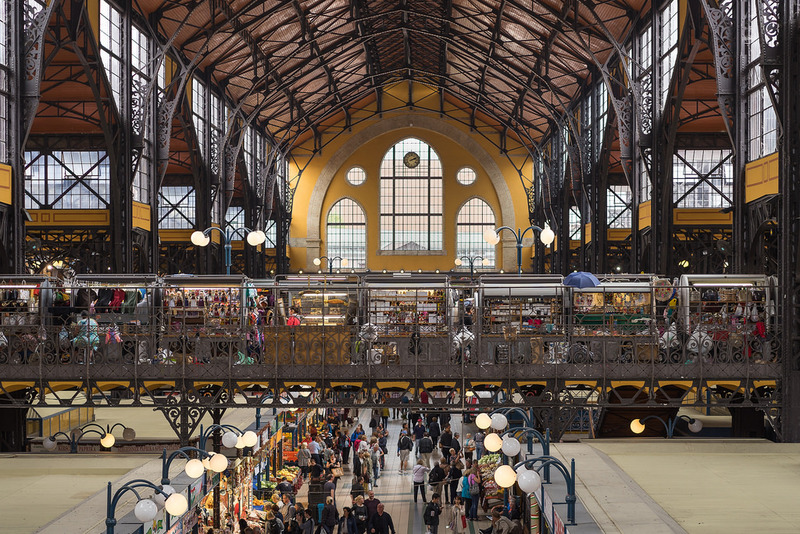 At the Central Market [Központi Vásárcsarnok] you’ll find an enormous range of products, and chance to feel like a local. The ground floor is dedicated to fresh produce, including cheeses, meats, sausages, fruits and vegetables. Once you’ve picked up ingredients for the evening meal, head up to the first floor. Here you’ll find more touristic things sold by independent vendors: trinkets and special embroideries, as well as clothes. Safely hidden for the smell, the fish stalls are in the basement, along with an Asian supermarket. 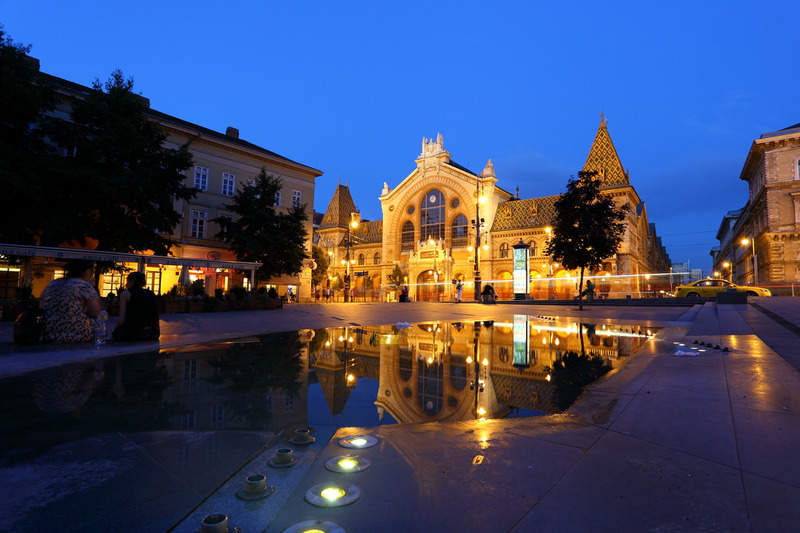 If you’re also visiting the Budapest Geological Museum, you’ll recognise the Central Market’s “Hungarian” architectural style. First devised in the 19th century to help develop a national identity, this style can be seen in the Zsolnay roof tiles. Zsolnay was a famous Hungarian maker of porcelain. The stalls centre on local foods, although international-themed markets take place every Friday and Saturday, drawing sellers from around the world. As for the buyers: as well as locals and tourists, you might also bump into a celebrity or foreign diplomat. Apparently the market is very popular with those types.